Rita lost over 100 lbs and 18% body fat! She no longer needs cholesterol medication and is in the best shape of her life. Fitness and healthy eating are now a lifestyle for her. "Debbie Goffredo has been my trainer for about 3 years now, and I wouldn’t have it any other way. She’s fun to work with and changes up routines every 3-4 weeks so you are always challenged. My 2-3 weekly workouts with her are among the few activities I look forward to I’ve lost a total of 80 lbs., and I have Debbie to thank due to her guidance, diligence, and encouragement. I don’t consider her just my trainer, I consider her a true friend. If you decide to train with Debbie, you won’t regret it. I guarantee you will reach your goals if you listen to her advice on health, exercise, and diet. She truly cares about her clients and wants nothing more than for them to succeed." Joann has lost over 50lbs, over 15% body fat and is the lowest weight she has been at in over 20 years. Joann could barely do push ups when starting and now performs nearly 25! Her strength, endurance and posture have all improved tremendously. "I am a 66 year old woman, who after losing 100 lbs, hit a plateau. I did some research on what to do and decided my best avenue was to get a personal trainer. That is when I found Debbie and we started on the road to my losing more weight and inches. As well as helping me lose more weight, Debbie is a trainer nutritionist and has assisted me in setting up a lifestyle change in my eating habits. When I first started with Debbie I had a real balance problem (as older people frequently have), but I am now much stronger and have much better balance. I know with the strong support of Debbie I will reach my final goal." Adrienne lost almost 100 pounds so far and is on her way to getting to her lowest weight ever! "I have tried other trainers before but once I worked out with Debbie right away I could feel the difference. Her workouts push my body and make me feel sore in places I didn’t even know I had muscles. I have now been with Debbie for 24 months and lost a total of almost 100 pounds. Debbie is very professional and knowledgeable in many areas. Not only is she a trainer and design’s great workouts but she can give great advice on your calorie intake and designing meal plans. She is always on top of my nutrition and what I am eating or what I should be eating more of. Debbie is always changing up what we do so I am never getting bored. I tried for a month and a half to leave Debbie and do it on my own but I couldn’t I went right back to her. I could not go to the gym and push myself the way Debbie pushes me. My results have been amazing and everyone around me can see the difference. My new self esteem and confidence is such a great and comfortable feeling. Debbie for sure has been the best investment for my health and I thank her for giving me a second chance at living my life to the fullest." "2 years ago, I went to Debbie G Fitness, tried a class for free, jogged around the building, did a few weight exercises and passed out. My body couldn’t handle it since I hadn’t been working out or eating right. I was so embarrassed that I did not go back even though she emailed/called me and tried to encourage me to return. I bought a treadmill & stationary bike that ended up collecting dust. I signed up at a local big name gym, swore to myself that I would get in shape. Never happened. I tried all the fad diets-nothing worked. A year later, I returned to Debbie G with some girlfriends to try the class again….I made it without passing out and signed up right away! Best decision I ever made. Now, a year later, I lost almost 25 lbs and am fitter, healthier and happier than I have ever been in my life. Debbie G has taught me how to work out, how to push my body without giving up, how to eat right, how to stay motivated and committed. It’s all THANKS to her & her gifted trainers. She’s SMART-she educates you about nutrition and exercise, she’s GENUINE-she cares about you & your success and she’s TOUGH-she’ll push you even when you want to give up! Thank you Debbie G!" "I first went to go see Debbie when I tipped the scale at 406 lbs. I have seen other trainers before but they all seemed just to go through the motions. It almost felt like you were just another number to them. From the first time I sat down with her I knew Debbie was different. She truly did care about your success. She personalized a plan for me and kept me accountable. She played an important part in me losing 200 lbs. " "I started with Debbie G. Fitness now The Right Fit about three years ago. I was taking my children to get ice cream when I noticed the sign next door that read women's bootcamp. So I took down the number and called as soon as I got home. I remember Debbie answering and being so welcoming and offering me a free trial class. That first class killed me, that was when I really knew how un healthy I was. Since then I have lost 30lbs and almost 10 inches off my waist. Debbie has changed my life I thank her all the time for always pushing me to give it my all. She is not only my trainer but my friend I admire her for all the devotion she has for her clients, because of her I am now much healthier I am able to do much more activities and make better eating choices with my children rather than taking them for ice cream. Debbie has always told me "it's not a diet it's a way of living." And I hope to keep this way of living forever. Thank You Debbie G. You are one of a kind." "I was always known as the chubby kid growing up, after having my son I got up to 170lbs that was a huge eye opener. I finally decided to make changes and start exercising and making smarter choices in my eating habits. I was able to drop about 20lbs on my own, but struggled to lose anymore. I needed guidance and education last summer I decided to join The Right Fit in Covina, Debbie and her trainers have been amazing! I have been able to drop an additional 10lbs and as much as I've enjoyed that, the best part is I have been educated in working out and learning to not only how to lose weight but to balance it out with building muscle and a healthy diet. Thanks Deb and Lana!" "Debbie has been my trainer for 3 years now as a semi-private client and as a bootcamper. I needed guidance about how to be fit because I have 3 children who are busy with activities and I work full-time. Debbie helped me set a fitness goal and started me on weight lifting workouts. She is great at assessing what kind of workout I could handle, so I was not overwhelmed. Also Debbie counseled me about how much and often to do my own cardio, how to make better food choices and to be accountable to what I eat by keeping a food log. To date I have lost 30 pounds, 4 clothes sizes, and many inches while gaining strength, stamina, and confidence. Debbie really wants to support her clients in all ways she can and keep the fitness journey lively by introducing challenges that increase personal workout intensity, offers classes on nutrition, and adds in “fitness fun” by organizing an activity such as a weekend hike. Debbie has lead me to have a healthier life, and most importantly, feel better about myself now that I am fit. Though she says I am the one putting in the work, I am grateful to have found Debbie as a trainer because her expertise has made me a stronger, more confident person in body, mind, and soul. Thank you, Debbie!" "I tried every single diet there is out there. Nothing ever seemed to work. I was always up and down 20 pounds. I wanted to lose 70 pounds and it just always seemed impossible. That all changed the day I joined Debbie G Fitness. Debbie taught me that it's not a diet it's a lifestyle change. Attending her boot camp 3 days a week and following her cardio and nutrition plan I have lost 53 pounds in 6 months. I feel great. Debbie is so motivating and has taught me so much. I no longer dread a workout. I look forward to boot camp classes and just cannot get enough of them. The physical endurance I now have is amazing. I would refer anybody and everybody to Debbie G, she is the best!!" "When my son was two years old, I decided that it was finally time to try to lose those last 10 pounds of baby weight. I went out and bought a little stepper machine and some (very light) weights and promised myself that I would do it! Seven months later with the stepper still in its box and the weights used only two or three times, I realized that I couldn’t do it alone. I began Debbie’s morning Fitness Camp five months ago and I wish that I had started sooner. Thanks to her class and guidance for nutrition, I’ve lost the weight, I’m eating and feeling better, and I can actually see some muscle tone developing. The best part is that I feel like my new “diet” and exercise routine is a lifestyle change that I can maintain long term. Class is challenging, but Debbie is an encouraging and supportive teacher. It’s pretty amazing! I’ve never been a big exercise person, but I’m really enjoying it. Now, if I have to miss a class, I’m really disappointed!" 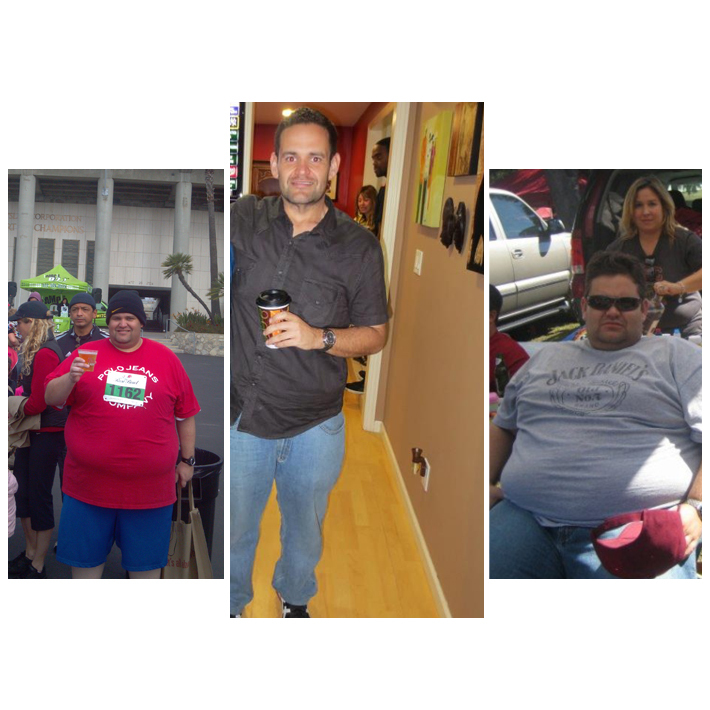 "On April 1, 2015 I started my first Boot camp at The Right Fit. It was intense, but I survived. After two short months, I haven't quit and with the encouragement and motivation of Debbie, Lana and my fellow “Boot campers”, I haven't wanted to (It helps having support at home too). So far, I have learned how to eat the right foods, I have lost weight, gained muscle, stamina and most importantly hope. No shame, no guilt, no regrets. I was giving the opportunity to change my lifestyle to become better for my family and friends and the answer was The Right Fit. The workouts push my limits, the meal plans give me the guidance I need to focus on nutrients for my body and group setting gives me accountability with new friends." " I’ve always been chunky. As a child I was the tallest and roundest kid in my class, every year. I was always in the back of pictures, mostly because of height, but it hid my chubbiness. I was always self-conscious. I started to thin out in high school but I was still uncomfortable in my body. Then, in college, I didn’t just gain the “freshman 15”, I gained 40 pounds! I was 201 pounds and around a size 20 pants. I was the largest I’d ever been in my life! And I was only 23 years old. My problem is that I’m an emotional eater. I love food and I love to eat. I especially love to eat when I’m stressed out, anxious, sad, angry, and of course, who doesn’t like to eat when we celebrate? When I had a bad week I would go to the grocery store and buy brownies, ice cream, popcorn, chocolate, wine; anything and everything that would make me feel better. And I would eat it all. ALL of it! It got to the point that I couldn’t recognize the person I saw in the mirror, even worse, the one in the pictures. By January 2011, my senior year of college, I made the decision to make a change. I set a goal to lose 20 pounds before my graduation that May. I did it. A week before my graduation I was down to 180 pounds. I knew I still had a way to go but I was so proud that I was able to accomplish so much in such a small amount of time. And then I plateaued. I had no motivation to continue losing weight but I managed to maintain. Then, in May 2013, I made the commitment to change my life. I decided that I needed to take control not only of my health but my education and career as well. I started with a personal trainer that month and began my journey. It wasn’t easy but I was starting to learn how to balance a healthy life style while working full time and getting my MBA. I started boot camp at The Right Fit Chino in April 2014 and received so much support from Mike. Sometimes, I wanted to quit or even cry but, he didn’t let me give up. He held me accountable and encouraged me to keep at it. I moved to The Right Fit Covina in October 2014 and was motivated even more by Debbie. She pushed me farther than ever before. With Debbie and Lana’s knowledge, help, encouragement, and motivation I have not only met my goal weight, I exceeded it. My goal was to lose a total of 40 pounds, every pound I gained in college. To date, I am down 55 pounds and thinner then I have ever been! If you would have told me 2 years ago that I would weigh under 150 pounds and wear a size medium, I never would have believed it." "I first joined The Right Fit, originally known as Debbie G Fitness, back in June of 2012 with a goal to lose the last 10 pounds of my "baby weight". I found out about Debbie G through a friend who highly recommended her. So after a bit of research and my friend's convincing, not to mention being sick of the bigger gyms with all the stuffy people that seemed to just stare and judge, I signed up. The trainers keep the classes to a minimum to allow them to opportunity to give each client more of their time and attention. From day 1, Debbie was just awesome, there is just something about her that exudes a true commitment to her clients, they're not numbers or dollar signs, they're real people that she truly wants to help transform their lives. Debbie taught me that this was a lifestyle change and not a "diet". I attended boot camp 3 days a week and logged my food daily as she instructed. I noticed that I was starting to shed the pounds, a couple of inches, and work my way back to my pre-baby weight. Then in February of 2013 I found out I was pregnant and I decided to take a hiatus, because I was sick all day and night, but I stayed in contact with Debbie throughout that time and was committed to return once I had the baby and felt well enough. I rejoined The Right Fit in March of 2014, 6 months post partum. The workouts were challenging but Debbie was still motivating and continued to push me beyond my self perceived limits. The real change came in January 2015, Debbie had a transformation challenge and I decided this was truly going to be it. No more yo-yoing with the weight loss it was time to reach those goals. I also want to be healthier for my kids so that I can be active with them and go on adventures. I committed myself to real "clean" eating, stayed consistent with my bootcamp workouts 3 days p/week and cardio the other 3-4 days. Debbie and Lana helped me stay accountable and continued to push and encourage me. Since then I've lost close to 20 pounds, numerous inches all over, and down 2 pants sizes. I'm actually at the weight I was when I got my married; however, I'm more fit and toned. I feel younger and more alive than I ever have before, thanks to Debbie and Lana. I know I'm the one that has stayed committed and put in the work, but it's their never ending commitment and desire to help that has helped me remain focused and continue to push through. Thank you Debbie and the rest of The Right Fit team for helping me transform myself...mind, body, and soul."